Last month, Huawei’s Honor brand launched its flagship Honor 10 smartphone in April, while it was launched in India in May. 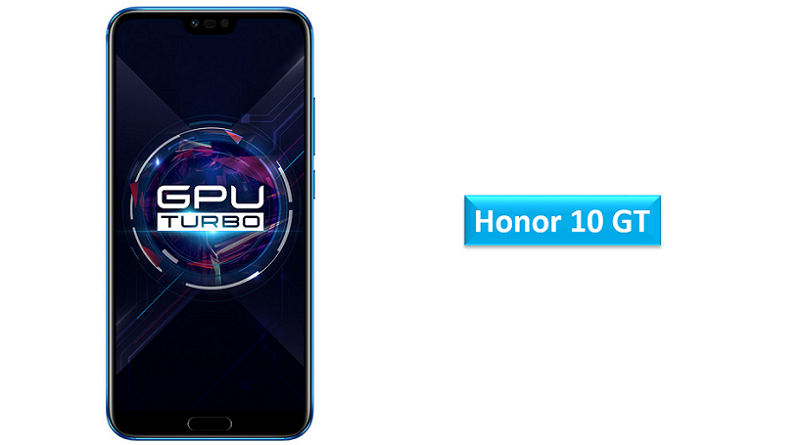 Today, they have introduced Honor 10 GT smartphone. It also sports same specifications like 5.84-inch Full HD+ 2.5D curved glass display with a notch and 19:9 aspect ratio. It is powered by an Octa-Core HiSilicon Kirin 970 10nm SoC with i7 co-processor and runs on Android 8.1 (Oreo) with EMUI 8.1 on top. It supports Face unlock featue and also has Fingerprint sensor Infrared sensor. It has a 3400mAh battery with support for Superfast charge (5V/4.5A) that can charge from 0 to 50% in just 25 minutes. It has dual rear cameras the primary is 16 MP RGB sensor and secondary is 24 MP monochrome sensor with 2x Zoom, LED flash, AI scene recognition that accurately identifies people, animals, grass and sky. It has a 24 MP front-facing camera with AI beautification and support for face unlock. But, Honor 10 GT comes with 8GB of RAM instead of 6GB RAM. It also has GPU Turbo which promises 60% boost in processor efficiency and 30% less power consumption. 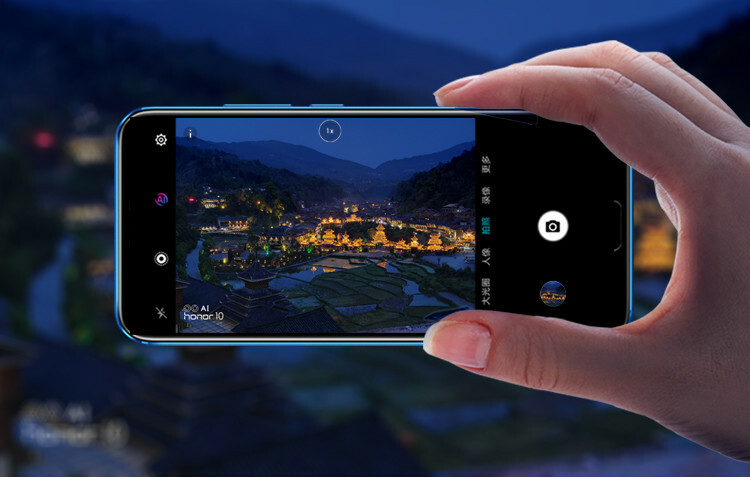 This smartphone also has new AIS, which means AI intelligent stabilization that uses AI-powered low-light image capture technology to automatically detects and tunes the camera to capture stunning night shots even without a tripod. The mobile sports a 5.84-inch Full HD+ LCD 2.5D curved glass display with 96% NTSC Color gamut with a resolution of 2240 x 1080 pixels. It is powered by Octa-Core Huawei Kirin 970 (4 x 2.4 GHz A73+ 4 x 1.8 GHz A53) 10nm processor with Mali-G72 MP12 GPU and runs on Android 8.1 (Oreo) with EMUI 8.1. The mobile supports Dual 4G VoLTE, WiFi 802.11ac (2.4GHz/5GHz), Bluetooth 4.2 LE, GPS, NFC, USB Type-C. It has 3.5mm audio jack, AK4376A Hi-Fi audio chip and supports dedicated Dual SIM (nano + nano). It also has Fingerprint sensor and Infrared sensor. The mobile packs 3400mAh (typical) / 3320mAh (minimum) battery with fast charging. It has a size measurement of 149.6×71.2×7.7mm and weight 153g. The Honor 10 GT price has not been announced yet as the wide roll out is expected to begin by the end of July. The company has also recently revealed timeline for the roll out of its GPU Turbo for its smartphones. While, the Honor 10 is priced at Rs. 32,999 and comes in Phantom Blue and Midnight Black colors in India and available on Flipkart. Share us your views on the Honor 10 GT smartphone in the comments section below.